I just went through my edit posts and saw that I never posted this. 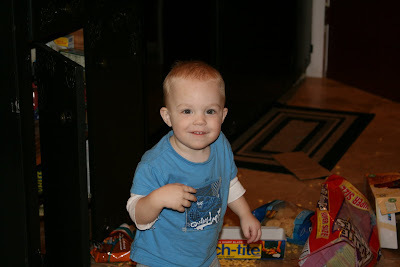 It is funny how quick I forget what a little trouble maker he is. I sure do love this adventurous and curios boy of mine. This is how I woke up one morning when I walked into my kitchen. 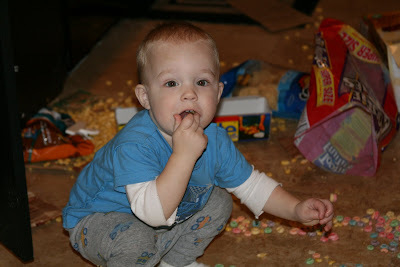 I guess he was hungry and looking for a ziploc bag to put his cereal in. How could you be mad at that face!!!!! 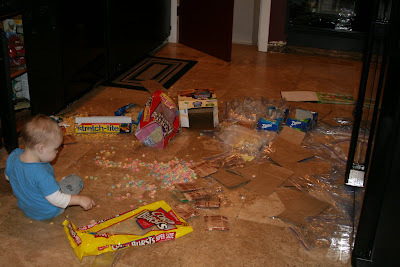 You have lots of messes with cereal on the floor. :) I recall a post from last year that looked strangely similar to this. :) Gotta love boys!